When Alice tumbles down a rabbit-hole one afternoon in pursuit of a White Rabbit, she finds herself in Wonderland. 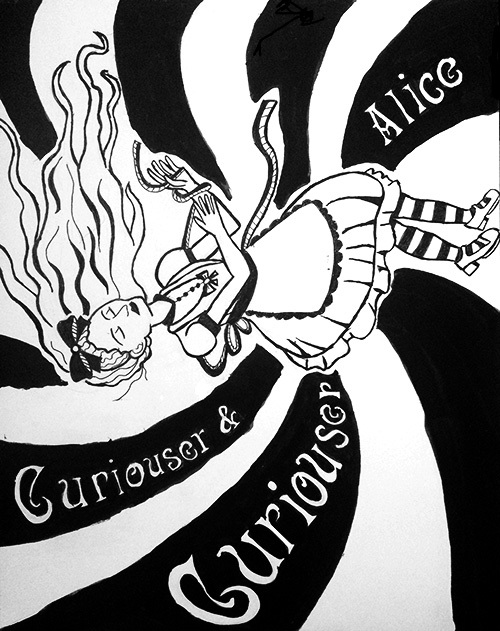 For Wonderland is no ordinary place and the creatures that populate it are unlike anybody Alice has ever met before. 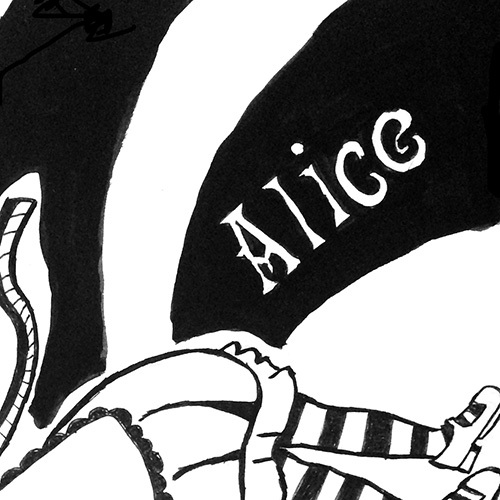 Alice's adventures have ensured that Carroll's book is the best loved and most widely read in children's literature. 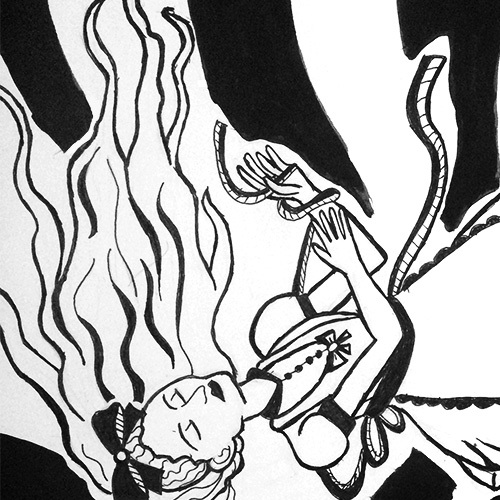 For Alice in Wonderland, I wanted to represent Alice falling into Wonderland through the tunnel. I think that Alice falling into Wonderland is like entering a hypnotic trance that takes her and the reader into another world. I used a swirl to represent the tunnel and I show ALice falling into wonderland wearing her dress. This was hand drawn using fountain pen and ink.